1.1.1. 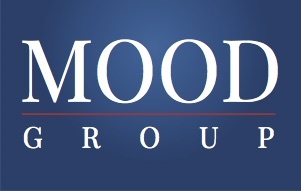 “Agent” refers to us and we are MOOD GROUP MALTA LIMITED incorporated and registered in Malta with company number C 63843 whose registered office is at Dar iz Zerniq, Notary Zarb Street, Attard, ATD 9045, Malta. 1.1.2 “Candidate” is you and you require us to seek introductions for you to potential employers. 1.1.3 “Client” means any third party, individual, partnership, company or other organisation or entity which contracts with the Agent with a view to procuring the services of a candidate. 1.1.4 “Business Day” means a day other than a Saturday, Sunday or public holiday in England when banks in London are open for business. 1.1.7 “Representation” means the representation of the Candidate by the Agent with a view to securing an Engagement with a Client. 1.1.8 “Regulations” means The Conduct of Employment Agencies and Employment Business Regulations 2003. 1.3 References to clauses are to the clauses of these Terms and Conditions. 1.7 A reference to a statute or statutory provision shall include any subordinate legislation made from time to time under that statute or statutory provision. 1.9 Any words following the terms including, include, in particular or any similar expression shall be construed as illustrative and shall not limit the sense of the words preceding those terms. 2.1 The Agent shall provide Representation to the Candidate on these Terms and Conditions and these Terms and Conditions shall supersede any other documentation or communication between parties. 2.3 Nothing in these Terms and Conditions shall prejudice any condition or warranty, express or implied, or any legal remedy to which the Agent may be entitled in relation to the Services, by virtue of any statute, law or regulation. 2.4 Nothing in these Terms and Conditions shall be construed as constituting a partnership or joint venture between us. 2.5 The Agent is acting in the capacity of an employment agency. 3.1 The Agent shall operate at all times as an employment agency in accordance with the Employment Agencies Act 1973. 3.2 The Agent will act as the Candidate’s agent and provide Representation to negotiate and conclude agreements with Clients in respect of procuring Engagements. 3.3 These Terms and Conditions do not give rise to a contract of employment between the Agent and the Candidate. 3.4 The Agent will not charge a fee to the Candidate for the Representation. 4.1 The Candidate should not engage in any conduct which is detrimental to the interests of the Agent, would negatively affect the Agent’s relationship with the Client or is likely to bring the Agent into disrepute. 4.2.2 a CV and portfolio where such are requested by the Agent. 4.3 The Candidate shall be clear about the type of work sought and by accepting these Terms and Conditions warrants the accuracy of the details of this work given to the Agent. 4.4 If, in respect of any prospective employment, the Candidate is required by law, any professional body or by the Client to hold or have any experience, training qualifications and/or authorisations, the Candidate shall provide the Agent with: (a) up to date copies of such qualifications and/or authorisations; and (b) the names of two referees (who are not relatives of the Candidate) who the Candidate agrees that the Agent may approach at any time for the purpose of obtaining references about the Candidate. 4.5 The Candidate consents to the disclosure of all relevant information (which is reasonably required to progress any application) including but not limited to copies of qualifications, authorisations and/or references, by the Agent to the Client. 4.6.2 the Candidate is or has attended a Client for the same position having being introduced by another agent. 4.7 If, following an Introduction from the Agent, the Candidate receives an offer of employment or Engagement to work for or with a Client introduced by the Agent, the Candidate shall inform the Agent immediately and provide the Agent with full details of the offer including a copy of the signed offer letter/contract of employment if requested. 4.8 The Candidate should not approach any Client other than through the Agent. 4.9 The Candidate shall be responsible for costs of travel and other expenses incurred by the Candidate in connection with the attendance of the Candidate on a Client unless previously agreed otherwise in writing. 5.1 The Agent shall use all reasonable endeavours to secure a suitable Engagement for the Candidate but shall be under no obligation to find an Engagement for the Candidate. 5.2 The Agent shall provide the Representation with skill, care and in accordance with the recognised codes of practice and statutory obligations. 5.3 The Agent shall take all reasonable steps to ensure Clients are professional and courteous but cannot be held responsible for the conduct of any third parties. 5.4 An offer of employment is not made until written details are received from the Client. The Agent does not accept any responsibility and shall not be liable for any loss suffered by the Candidate by reason of the Candidate’s decision to resign from his/her current employment or any existing engagement before or after receipt of the Client’s written offer. 6.1 The Agreement shall continue until the agency services have been provided in terms of the Representation or any subsequent date as mutually agreed in writing by both parties or until terminated by either party in accordance with the terms of these Terms and Conditions. 6.2 The Agent may terminate this Representation without notice at any time and for any reason at the Agent’s sole discretion. 6.3 The Candidate shall be entitled to terminate the Representation at any point by giving two months notice in writing. 6.4.5 the other party is declared insolvent, or convenes a meeting of or makes or proposes to make any arrangement or composition with its creditors; or a liquidator, receiver, administrative receiver, manager, trustee or similar officer is appointed over any of its assets. Any rights to terminate these Terms and Conditions shall be without prejudice to any other accrued rights and liabilities of the parties arising in any way out of these Terms and Conditions as at the date of termination. Both parties warrant their authority to enter into these Terms and Conditions and have obtained all necessary approvals to do so. The Agent shall not be liable for any direct loss or damage suffered by the Candidate or any third party howsoever caused, as a result of any negligence or breach of contract. The Candidate unconditionally agree to indemnify The Agent, acting in good faith in taking reasonable steps to process my personal information lawfully, against any liability that may result from the processing of my personal information. This includes unintentional disclosures of such personal information to, or access by unauthorized persons, and/or any reliance which may inadvertently be placed on inaccurate, misleading, or outdated personal information, provided to The Agent by myself or by a third party in respect of me. The Candidate shall not be entitled to assign its rights or obligations or delegate its duties under these Terms and Conditions without the prior written consent of the Agent. A person who is not a party to these Terms and Conditions shall not have any rights under the Contracts (Rights of Third Parties) Act 1999 to enforce any term of these Terms and Conditions. 14.1 No failure or delay by a party to exercise any right or remedy provided under these Terms and Conditions or by law shall constitute a waiver of that or any other right or remedy, nor shall it preclude or restrict the further exercise of that or any other right or remedy. No single or partial exercise of such right or remedy shall preclude or restrict the further exercise of that or any other right or remedy. 14.2 Unless specifically provided otherwise, rights and remedies arising under these Terms and Conditions are cumulative and do not exclude rights and remedies provided by law. Any notice to be given by either party to the other may be served by email, fax, personal service or by post to the address of the other party or such other address as such party may from time to time have communicated to the other in writing, and if sent by email shall unless the contrary is proved be deemed to be received on the day it was sent, if sent by fax shall be deemed to be served on receipt of an error free transmission report, if given by letter shall be deemed to have been served at the time at which the letter was delivered personally or if sent by post shall be deemed to have been delivered in the ordinary course of post. These Terms and Conditions constitute the whole agreement between the parties and supersedes any previous arrangement, understanding or agreement between them relating to the subject matter they cover. These Terms and Conditions shall be governed by and construed in accordance with the laws of Malta and the parties hereby submit to the exclusive jurisdiction of the Maltese courts.